A West Grove couple passed away this week a day apart after 68 years of marriage. Clifford “Kip” A. Bennett, age 87, of West Grove, passed away on Saturday, June 18, 2016, at Season’s Hospice at the Christiana Hospital. 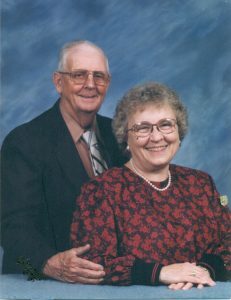 He was the husband of Mary “Betty” Bennett who passed away on June 19, 2016, and with whom he shared 68 years of marriage. Born in Coatesville. PA, he was the son of the late Horace D, Sr. and Elsie Brandenberger Bennett. Kip was a bus driver for the DuVall Bus Co. in New London, PA for 15 years retiring in 2015. Prior to working for Duvall Bus Co., he worked for Star Roses, Gawthrop/Delchester Oil Co. and London Britain Township. He was a member of the Avon Grove Church of the Nazarene. He is survived by two sons, Robert A. Bennett and his wife Donna L. of Ocala, FL and Thomas W. Bennett and his wife Barbara Sue of Middletown, DE; one daughter, Barbara Anne Gentry and her husband Bruce of West Grove, PA; one sister, Jennie Reid of Coatesville, PA; nine grandchildren, seventeen great grandchildren and two great-great grandchildren. You are invited to visit with his family and friends from 10:00 to 1:00 on Thursday morning, June 23, 2016, at the Avon Grove Church of the Nazarene, 240 East State Road, West Grove, PA. A funeral service for both Clifford and his wife will follow at 1:00. Burial will be in New Garden Friends Cemetery, New Garden, PA. Arrangements by the Foulk & Grieco Funeral Home, West Grove, PA.
Mary “ Betty” Bennett, age 88, of West Grove, PA, passed away on Sunday, June 19, 2016, at Season’s Hospice at Christiana Hospital. She was the wife of Clifford “Kip” Bennett, who passed away on June 18, 2016, and with whom she shared 68 years of marriage. Born in Coatesville, PA, she was the daughter of the late Wilmer S. and Mary Walker Montgomery. 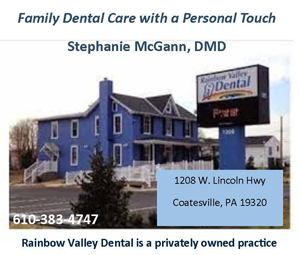 Betty was a billing clerk for Kennett Dental, Kennett Square, PA for 8 years retiring in 1990. Prior to that she was a billing clerk for 15 years at Jackson-Durning, MD in Kennett square, PA.
She enjoyed being with her family and friends and especially enjoyed babysitting her grandchildren. She is survived by two sons, Robert A. Bennett and his wife Donna L. of Ocala, FL and Thomas W. Bennett and his wife Barbara Sue of Middletown, DE; one daughter, Barbara Anne Gentry and her husband Bruce of West Grove, PA; two brothers, James W. Montgomery of Warner Robbins, GA and Robert E. Montgomery of Akron, PA; nine grandchildren, seventeen great grandchildren and two great-great grandchildren. You are invited to visit with her family and friends from 10:00 to 1:00 on Thursday morning, June 23, 2016, at the Avon Grove Church of the Nazarene, 240 East State Road, West Grove, PA. A funeral service for both Betty and her husband will follow at 1:00. Burial will be in New Garden Friends Cemetery, New Garden, PA.